On June 24th of this year, Burkeian scholars lost one of their oldest colleagues. Much could be written about Leland Griffin’s fine character, but here the focus will of necessity be upon his contributions to Burkeian rhetorical theory and criticism. As I must treat complex matters in little space, forgive me in advance if I oversimplify. Leland M. Griffin was born in 1920 and worked at Northwestern from 1956 until his retirement in 1989. Besides his research into rhetorical form and social movements, Griffin organized an early Burke conference in 1965 and received the Lifetime Achievement Award at the 1990 National Kenneth Burke Society convention. Later he was nominated for the NCA’s Mentor Award fund. Griffin is best remembered for three essays in which he gradually integrated his ideas about the structure of social movements with an impressive range of Burkeian theory. In the earliest such essay, 1952’s “The Rhetoric of Historical Movements,” Griffin outlined his now familiar three-stage structure of successful movements: inception, rhetorical crisis and consummation. Griffin was inspired by a paper by Wichelns at the 1946 SAA conference to outline an alternative area of rhetorical study to single-speech or single-rhetor studies (184). This essay is too early to mention Kenneth Burke but the theory was ripe for the introduction of a Burkeian theory of motives since Griffin argued that it was most important to study the “rhetorical pattern[s]” of movements (188). As published, the essay’s warrants for such a focus are that the theory of the three stages needs to be tested, we may learn something about great orators, we may come to appreciate less significant speakers, and we may find that history may “be conceived in terms of movements rather than of individuals” (188). Almost immediately movement studies began appearing in communication journals. Griffin’s most important contribution was 1964’s “The Rhetorical Structure of the ‘New Left’ Movement: Part I,” which traced efforts to establish a presciently named “New Left” which would be neither communist nor liberal. There Griffin began to integrate Burkeian theory into his rhetorical theory of social movements. By this time Griffin had evidently read Permanence and Change through A Grammar of Motives, as his citations are all from those works. He charted a series of equations adding up to a “comic frame” which, following Burke, might be called “humanism” (115). In a series of footnotes, Griffin drew the reader’s attention toward Burke’s work with Marxism, and warned that Burke’s ideas had changed over time, so it would be well to pay attention to differences between the various editions of his early books (115). Griffin also explained the New Left’s emphasis upon peace as a Scene/Act ratio whereby a new scene creates new acts in dialectical interaction (121). Burkeian theory also helped Griffin extend his description of the inception phase of movements, especially the importance of symbols of authority in the development of identity (128). Griffin’s most important work of Burkeian theory is the 1969 essay “A Dramatistic Theory of the Rhetoric of Movements.” In Griffin’s own words, “The essay involves a synthesis of materials – words, phrases, and concepts – which have been drawn, almost wholly, from the terminology of Burke” (456). Especially notable was Griffin’s use of the recently published A Rhetoric of Religion.Griffin identified his earlier phases of rhetorical movement with Burke’s paradigm of history. As a result, inception comes to consist of Order, Guilt and the Negative, rhetorical crisis of Victimage and Mortification, and consummation of Catharsis and Redemption. More than a model of movements, the essay is a survey of later Burkeian theory, a representative anecdote which has made Burke more accessible to many young scholars. Along with Herbert Simon’s sociological approach to movements, Griffin’s conception of social movement held sway until 1980, when meta-analyses of movement criticism seemingly burst into regional journals. The opening salvo might be regarded as Dan F. Hahn and Ruth M. Gonchar’s “Social Movement Theory: A Dead End.” While they did not directly address Griffin’s essays, they made the relevant argument that there is no such thing as a unique “rhetorical” movement. Hence there is no uniquely rhetorical theory necessary to study movements (64). That line of argument and others appeared during the same year in a special issue of The Central States Speech Journal. Griffin began by noting that when movement criticism began, rhetorical critics saw themselves as a type of historical critic, so that movement studies had not changed so much as critics’ self conceptions (230). He also welcomed a greater number of approaches to movements since all offered partial perspectives (231-32). David Zarefsky developed Hahn and Gonchar’s position by arguing that the historical study of unique movements may be valuable as history, but that movements have not been shown to employ unique types of argument (252). Michael Calvin McGee repeated an earlier radical critique that the social movement is purely an imaginary idea, a “meaning” rather than a “phenomenon” (237-38). Stephen E. Lucas and Ralph R. Smith argued, separately, that it was too soon to decide whether there were rhetorical movements or not; much more movement criticism was needed (265). They also began to respond to McGee. Robert Cathcart argued in Griffin’s defense that it was only when the context of “rhetoric of confrontation” was ignored that movements could be said to be non-rhetorical (272-73). Yet he also argued that it was not enough for a group to call itself a movement for a rhetorical movement to exist. These arguments were repeated three years later in a “Special Report” in The Central States Speech Journal. Bernard Brock, the editor of the special report, could only conclude “that differences among the approaches outnumber the similarities” (82). Indeed, Brock was right. Yet some of the confusion among that hornet’s nest of disciplinary argument could have been easily resolved if a stronger Burkeian perspective had been applied. For example, in answer to McGee, one might have noted that since humans invented the negative and since there are no negatives in nature, the non-existence of movements is just as much a “meaning” as their existence. From this perspective, the distinction collapses. In any case, rhetorical study of movements has continued as a methodological option if nothing else. The data that Griffin and others desired has been accumulating, and it waits for a bold Burkeian theorist to make sense of it. Griffin’s most neglected work is 1984’s “When Dreams Collide: Rhetorical Trajectories in the Assassination of President Kennedy,” published in The Quarterly Journal of Speech. Here Griffin used Burke’s definition of rhetoric as “addressed,” arguing that Lee Harvey Oswald engaged in self-address in his personal journal, where he imagined himself to be the leader of a social movement behind Kennedy’s assassination. This essay is the true second part to Griffin’s study of the New Left, and the material from Oswald’s diaries is perfectly chosen to illuminate the theoretical issue. In sum, Burkeian studies has lost a creative and influential pioneer. One of Griffin’s sons once told me that Lee loved teaching and had a lot of difficulty writing. Be that as it may, his struggle to write was without a doubt worthwhile. If there were an influence-per-essay statistic, Griffin would rank near the top. Hopefully his contributions will be revisited, appreciated and extended by generations of scholars to come. Andrews, James R. “A Historical Perspective on the Study of Social Movements.” The Central States Speech Journal 34 (Spring 1983): 67-69. Andrews, James R. “History and Theory in the Study of the Rhetoric of Social Movements.” The Central States Speech Journal 31 (Winter 1980): 274-81. Bertelson, Dale. 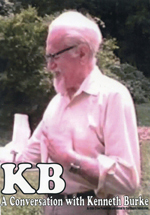 “Synopsis of the 1990 National Kenneth Burke Society Convention.” Kenneth Burke Society Newsletter 6.2 (October 1990): 1-6. Brock, Bernard L. “Editor’s Commentary.” The Central States Speech Journal 34 (Spring 1983): 80-82. Cathcart, Robert S. “A Confrontation Perspective on the Study of Social Movements.” The Central States Speech Journal 34 (Spring 1983): 69-74. Cathcart, Robert S. “Defining Social Movements by Their Rhetorical Form.” The Central States Speech Journal 31 (Winter 1980): 267-73. Griffin, Leland M. “A Dramatistic Theory of the Rhetoric of Movements.” In William M. Rueckert, ed., Critical Responses to Kenneth Burke 1924-1962. Minneapolis: University of Minnesota Press, 1969. ---. “The Edifice Metaphor in Rhetorical Theory.” Speech Monographs 27 (November 1960): 279-92. ---. “Letter to the Press: 1778.” The Quarterly Journal of Speech 33 (April 1947): 148-50. ---. “On Studying Movements.” The Central States Speech Journal 31 (Winter 1980): 225-32. ---. “The Rhetoric of Historical Movements.” The Quarterly Journal of Speech 38 (April 1952): 184-88. ---. “The Rhetorical Structure of the Antimasonic Movement.” In Bryant, Donald C., ed., The Rhetorical Idiom Ithaca: Cornell University Press, 1958: 145-59. ---. “The Rhetorical Structure of the ‘New Left’ Movement: Part I.” The Quarterly Journal of Speech 50 (April 1964): 113-35. ---. “When Dreams Collide: Rhetorical Trajectories in the Assassination of President Kennedy.” The Quarterly Journal of Speech 70 (May 1984): 111-31. Hahn, Dan F., and Ruth M. Gonchar. “Social Movement Theory: A Dead End.” Communication Quarterly 28 (Winter 1980): 60-64. Jablonski, Carol J. “Promoting Radical Change in the Catholic Church: Rhetorical Requirements, Problems and Strategies of the American Bishops.” The Central States Speech Journal 31 (Winter 1980): 282-89. Lucas, Stephen E. “Coming to Terms with Movement Studies.” The Central States Speech Journal 31 (Winter 1980): 255-66. McGee, Michael Calvin. “Social Movement as Meaning.” The Central States Speech Journal 34 (Spring 1983): 74-77. McGee, Michael Calvin. “’Social Movement: Phenomenon or Meaning?” The Central States Speech Journal 31 (Winter 1980): 233-44. Simons, Herbert W. “On Terms, Definitions and Theoretical Distinctiveness: Comments on Papers by McGee and Zarefsky.” The Central States Speech Journal 31(Winter 1980): 306-15. Smith, Ralph R. “The Historical Criticism of Movements.” The Central States Speech Journal 31 (Winter 1980): 290-97. Stewart, Charles J. “A Functional Approach to the Rhetoric of Social Movements.” The Central States Speech Journal 31 (Winter 1980): 298-305. Stewart, Charles J. “A Functional Approach to the Rhetoric of Social Movements.” The Central States Speech Journal 34 (Spring 1983): 77-80. Zarefsky, David. “A Skeptical View of Movement Studies.” The Central States Speech Journal 31 (Winter 1980): 245-54. I enjoyed reading Mark Wright's succinct, pointed, and well-taken tribute to this seminal Burke scholar. I was in attendance when Griffin received the first Life-Time Achievement Award from the Kenneth Burke Society at the New Harmony, Indiana, Conference in 1990. I think I spoke to him after his address to that assembly of Burke aficionados at the opening banquet. A few years later, Griffin wrote a very kind review of a manuscript of mine. I found quite useful Wright's review of Griffin's full integration of Burkean theory, via the famous 1969 essay in Rueckert's collection, into the three-part scheme for the development of social movements Griffin first proposed in 1952: The "Inception" stage encompasses "Order, Guilt, and the Negative"; the "Rhetorical Crisis" involves "Victimage and Mortification"; and the moment of "Consummation" is celebrated by "Catharsis and Redemption." I like, also, Wright's assessment of the power of that 1969 piece: "More than a model of movements, the essay is a survey of later Burkeian theory, a representative anecdote which has made Burke more accessible to many young scholars." On the question that Griffin and other critics wrestled with in CSSJ in that Winter, 1980, debate---"whether there were [actually] rhetorical movements or not"---my reply would be a forthright and clearly-stated, well, yes and no. Rhetoric is ambiguous, Burke says. It can serve as an inducement to physical, materially-consequential action, or as a substitute for such action. It can, on occasion, psychologically satisfy, make for a kind of symbolic "catharsis" all by itself, without resultant marching, picketing, and/or overturning of the political status quo. (Recall what Burke says in PLF, pp. 39-40, and in the Coriolanus article in LASA, about "vituperation" alone serving as a kind of thoroughgoing "victimage.") Rhetoric all by its lonesome does not make a movement. Griffin's 1984 critique of Lee Harvey Oswald's private journal would seem to support that conclusion. I believe, however, that social and political movements that do get underway will likely generate recurrent patterns of rhetorical action distingished by the nature of the goals and transformations envisioned. Reform movements will tend to go "comic frame," with "frame-bridging" rhetorical styles; resistance or restorationist movements will lean toward "burlesque" ridicule, or "frame amplification"; and revolutionary movements will be tempted toward the "tragic frame," or "frame-transformative" discursive patterns of address. The rhetorical study of social and political movements would therefore not be a "dead end" enterprise, as Hahn and Gonchar opine (1980). Griffin was on to something big in the field of rhetoric when he broached the topic of rhetorical similarities across movement speakers and discourses in 1952. Griffin was, as Wright summarizes, "a creative and influential pioneer" in respect to both movement and Burkean scholarship. And, indeed, "If there were an influence-per-essay statistic, Griffin would [surely] rank near the top." I believe Griffin's work will long endure.